Welcome to Cold Comfort Farm . . . Enjoy your visit! Earl Lamprey, formerly the head of the Drainage and Seepage Division of the Department of Sumps and Sinkholes, is now the manager of Spleen Brothers Termite & Pest Control, known as the foremost company of its kind. As Earl says, "When your pests aren't becoming to you, you should be coming to us!" Born in Slipshod, Kansas to Edward Ray "Eddie" Lamprey and Edwinna "Eddie" Lamprey (nee Spleen), Earl attended the schools of Mildew County, where his father was the Superintendent of Cosmetology and his mother was a homemaker. After graduation from high school he matriculated at The Musgrove Institute in nearby Stumpwater, where he was a member of the Pep Squad and the Future Flangemen of America Club. While he was at Musgrove, Earl met his bride-to-be, wooed her, and wed her. Earl's first job after commencement was at Fargo Flanges, fulfilling a lifelong wish of his to work in the industry that, as Earl has always said, "made America great!" 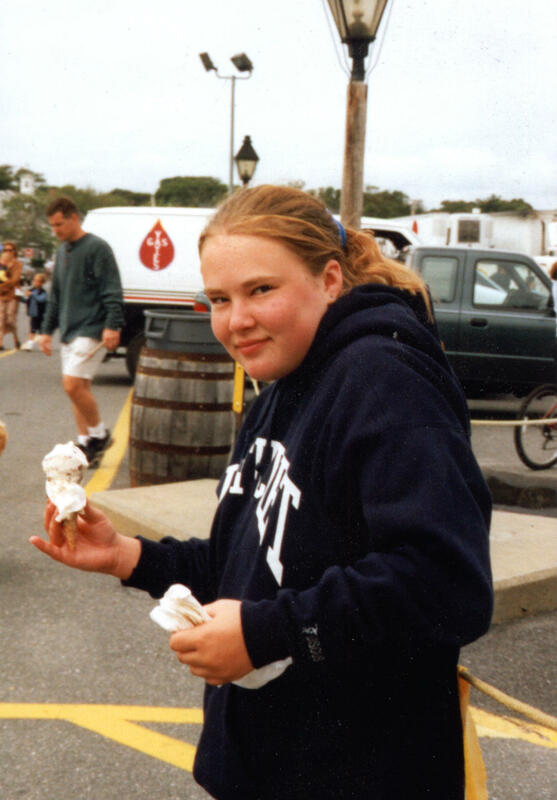 This is Earl's niece, BZ, enjoying a tasty frozen confection while waiting for the Steamship on Nantucket. BZ is the daughter of Og and "Ma" Squidman; her hobbies are spelunking, philately, and the composition of haikus on classic themes. Earl's hobbies are flanging, and waiting for the other shoe to drop. You also might find him out with the bees. Modified last on 29 December 2004 by Earl Lamprey, to whom all mail should be directed. This page is sold by weight, not by volume. Some settling of contents may have occurred during shipment and handling.